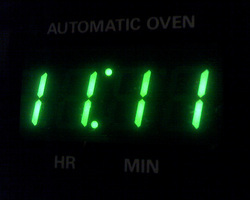 In 1995, a Crystalinks' reader named Joe emailed about his experiences with the numbers 111:111, hence the file you are reading was first created, and in so doing I took a long hard look at this phenomena experienced by those around me. Each time Joe was about to go through another major spiritual awakening, an epiphany of some kind, those numbers would appear in his physical experience to signal the upcoming change. The numbers say, "Pay attention!" Reality as a geometric design is based on numbers (universal language) that repeat in cycles to create the linear time experiment. In Pythagorean Numerology, a cycle is based on 9. 9=End. 9/11=End of the DNA biogen(et)ic program running at the moment.